It's widely accepted that growth requires money and that the current economic climate would be characterized as growth oriented. However, not everyone is flush with cash. When you need credit to invest in the growth of your company what options do you have? Seeking alternatives to the traditional methods might be an answer in this changing market. Credit providers play a critical role in supporting business growth, according to Dan Gavin, a principal at Bernstein Private Wealth Management. Banks, capital markets, and nonbank lenders such as asset managers, insurance companies, pension funds, and specialty finance companies, known as alternative credit providers, efficiently allocate capital to borrowers. The financial health of individuals and businesses depends on reliable access to financing to manage everything from daily cashflow needs to larger-scale business expansion. This access, in turn, fuels employment growth and consumer spending. Through a virtuous cycle, broad access to credit becomes a driver of economic growth. To emphasize this point, we simply need to look back to 2008-2012 when financing options dried up in major markets like automotive and home buying. Consumers could not get financing and car dealers could not get financing for their floorplans. Maybe you felt the same crunch during this time. If not, consider how a shift in the economy could affect your franchise portfolio. Consider this CNBC article from 2012 that found it nearly impossible to find funding to grow in franchising. In our last article, "How to Grow Without Cannibalizing Your Sales," we discussed critical elements to consider when you are in growth mode and the importance of strategic planning. Although the franchise industry is seeing record growth, the economic environment of the United States can often be seen as being as stable as the stock market. However, the market has been consistently strong for a considerable period of time and many analysts are indicating that a market correction is due. 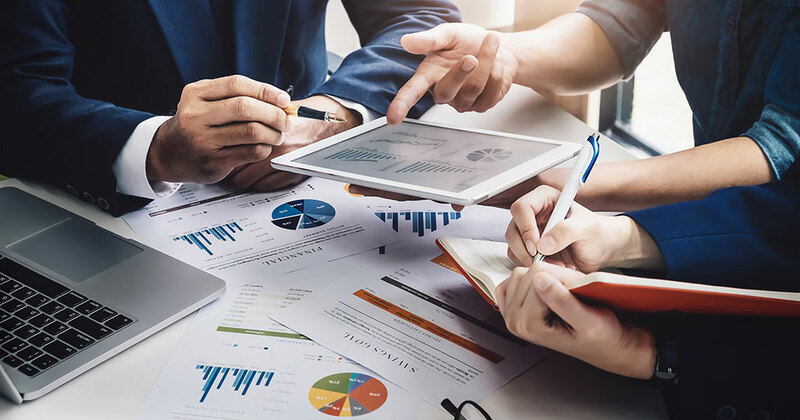 As you look toward growth of your multi-unit franchise business, have you considered how well equipped you are for funding, especially if the market does correct or have a major shift? Dan Gavin shares that, "As global financial markets mature, this process is facilitating a trend of bank disintermediation--which means providers of capital are moving closer to borrowers. A longer-term trend, much like in other consumer-driven industries such as retail, where customers increasingly prefer shopping online to visiting stores. Although this evolution has been firmly under way in the US for many years, it has been accelerating. For instance, only three decades ago, banks provided more than half of the total credit extended to finance US nonfinancial corporations and real estate, two sectors that together represent more than 70 percent of total private sector credit outstanding. This figure has steadily declined, whittled down by the growth of capital markets and alternative credit providers." Furthermore, Gavin says that the access to a broader and more diverse group of willing lenders is good news for multi-unit franchisees in funding acquisitions, leveraged buyouts, refinancing, and growth investments. Financing solutions are diverse and can be customized for the needs of the borrowers. For qualified businesses, this can include secured loans including: first lien second lien, plus selectively considered investments in mezzanine debt, structured preferred stock, and minority equity co-investments. Ensure the future of your multi-unit franchise portfolio by putting a strategic plan in place to consider and ensure all resources are in alignment to fulfill your short and long-term goals. Take a look back on history to see where we have been, compare it to where the economy is today, and ask yourself if you have the relationships, roadmap, and resources to sustain whatever may come.